Rats, mice, squirrels, and other critters all have the capacity to do a great deal of damage to your home, and put your family at risk for disease. When you have an infestation, the key to resolving the issue is early detection, but an even better option is preventing them from entering in the first place. 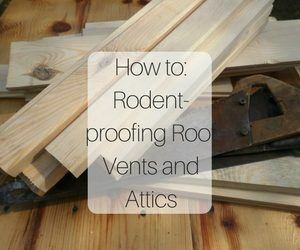 Rodent-proofing your roof vents and attic is a perfect way to get started. The first step to preventing critters from entering your home is to begin with a thorough inspection of your property. Knowing where rodents would try to enter your home is key for effective rodent-proofing and exclusion. These critters are capable of squeezing through tiny openings, so even the smallest crack or hole can allow them access. After locating all possible entry points, they need to be closed off. You can patch holes, gaps, and cracks that are over ¼” in size with a combination of foam, wire mesh, or sheet metal depending on the size of the opening. Next, you will need to inspect your roof to make sure there are screens installed over your vents, and to make sure they are undamaged and secure. From there, make any necessary repairs, or replace any missing vent screens. As an additional deterrent to squirrels and other climbing critters, you can attach metal rodent guards to piping, or add a black band around your home. As a DIY homeowner, you may have some luck rodent-proofing your home on your own. 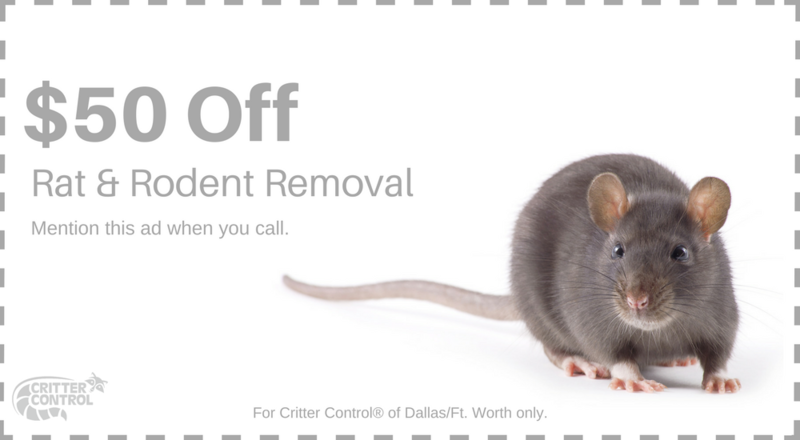 But, for a guaranteed thorough job, the experts at Critter Control® of Fort Worth are here. Our decades of experience allows us to think like a critter would, giving us an advantage when it comes to finding and sealing entry points. Call us at 817-442-2201 with any questions, or to schedule your complimentary home consultation.